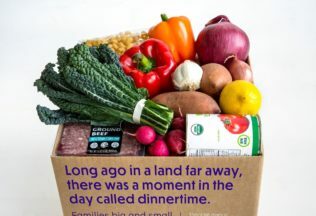 A low-cost dinner meal kit popular in the United States is now available in select areas of Australia. The ‘Dinnerly’ meal kit will be sold to Australians through existing meal kit provider, Marley Spoon. Dinnerly is marketed as a low-cost meal kit option with meals starting at AUD $5.75 per serving. All kits come with pre-portioned ingredients and digital recipe cards designed to make cooking dinner easy and affordable. Co-Founder of Dinnerly, Rolf Weber, said although other meal kits are making cooking dinner easier, Dinnerly is also trying to address issues with affordability. “We are excited and proud to deliver a solution that doesn’t force customers to choose between convenience, quality, and cost,” Weber said. Weber said Dinnerly tries to use fewer ingredients to reduce cost and time in preparing meals. “Packaging procedures are streamlined and digital recipe cards all help to keep the cost to customers down,” Weber said. Two new pate flavours have been added to Maggie Beer’s eponymous range. Gelatissimo has combined two health food trends into one new gelato flavour.